Steve Capper was born in 1944. At the age of 11 in 1955 he attended Manchester High School of Art and then in 1962 went onto attend the Manchester college of Art followed by Bretton Hall College in 1965. 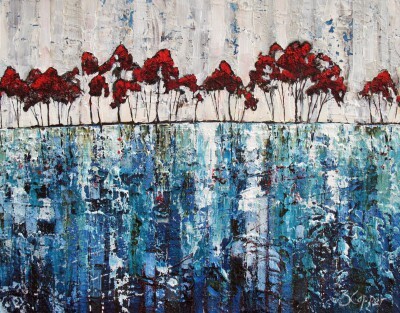 Steve Capper is a contemporary British artist who has had a prolific career in the Arts. He was head of a large art faculty in an Oldham comprehensive school. He taught painting for 30 years and then took early retirement to concentrate on producing his own art works. 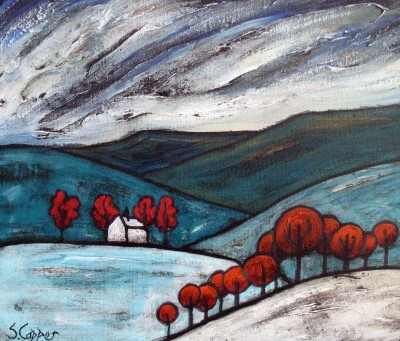 Steve Capper lives and works in the southern Pennines and these hills have had a major influence on his landscape work. 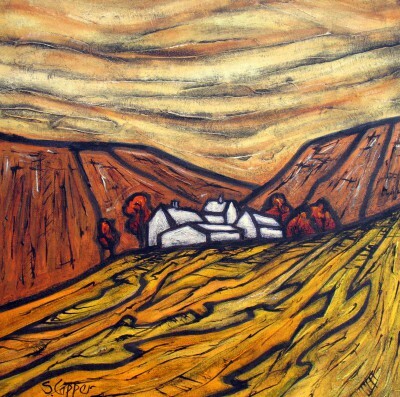 He has developed a colourful and individual way of portraying the local landscape. 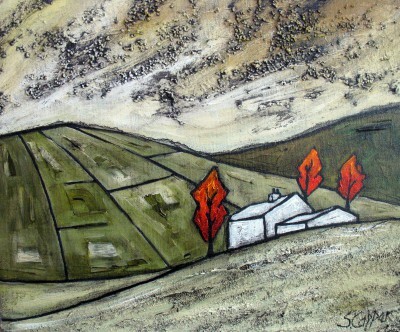 His paintings of hills and valleys are produced by simple individual shapes, which combine to form more complex images. 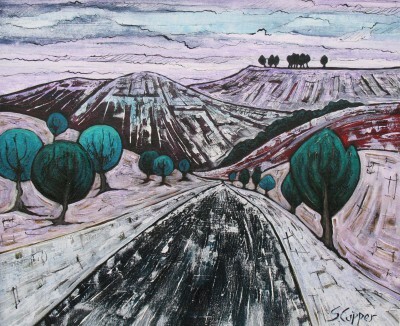 The shapes and patterns provide an ideal vehicle for Steve's art work with colour; his use of primary colour both enhances and emphasises the fascinating aspects of this landscape environment. Steve will do an on the spot sketch, which is then taken into the art studio, he reworks it and then produces a composite image. Alongside his landscapes are his still life paintings, showing the influences of the cubists and the fauves. Speaking about his paintings Steve Capper has said "My work is not a photographic image of a single place, but rather a composite of several places. I am attempting to capture the feeling and atmosphere of Saddleworth and the Pennines, focusing on the shapes and patterns formed by the clouds, fields and trees etc. 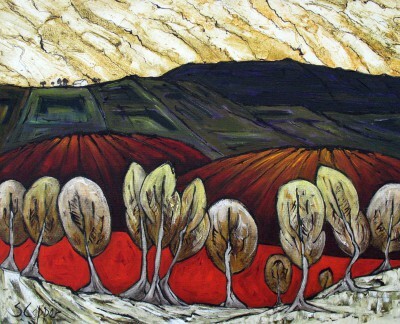 My use of primary colours is to emphasise the forms created by these special landscapes. I have been painting still life pieces for over forty years since I came across the work of Picasso, Braque and Mattice. The format feels like an old friend and something I am comfortable with." 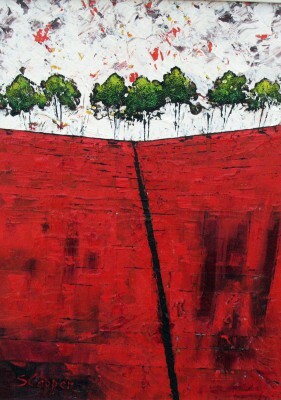 In addition to Red Rag art gallery, Steve Capper art work has been exhibited at other leading British Art Galleries. Each painting at Red Rag is sourced from the Steve Capper artist studio and like all Red Rag British art and contemporary art it can be shipped worldwide.